Robina Group (incorporating Robina Land Corporation and Robina Projects Australia) has pioneered sustainable development on the Gold Coast for more than three decades and is a driving force in CBDRobina’s continued success. A key stakeholder in this vibrant growth and cultural transition, the Group has met the challenges of a long-term pioneering project to achieve recognition as one of Australia’s most successful and multi-awarded developers. These achievements are based on sustained quality, fine detail and big picture planning. The results are now icons – The Rocket, The Wharf, Easy T Centre, Riverwalk and Paddington Terraces is at the heart of current projects including Boheme Apartments, The Base, CityPods and CityVillage. Robina Group delivers exciting and practical investment assets for people who work to live. In everything we do, the aim is to innovate in a way that creates opportunity for residents and business people while maximising physical space. The Robina Group became focused on working sympathetically with the environment long before sustainable development changed the way we think about human impact on the natural world. 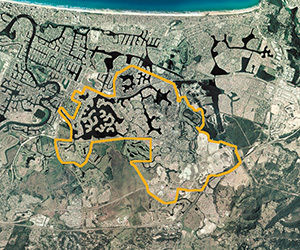 For the first 15 years, Robina Group was principally involved with large-scale subdivision. 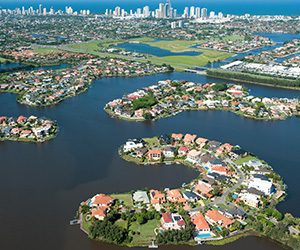 Its planning arm (which has also consulted to land owners around Australia and overseas) designed each of Robina’s new districts, creating landmark greenspace, vibrant streetscapes, city connectivity and pioneering new forms of residential community for which it won many awards. The Queensland Government’s regional planning scheme had envisaged a significant commercial centre in the Robina area since the 1970s.As South East Queensland’s population growth began to exceed all projections and Gold Coast City and Albert Shire were merged to form Australia’s sixth largest city, the intended role of Robina as a commercial centre took on even greater significance. 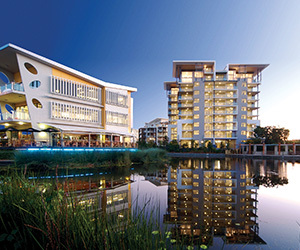 Robina’s planning scheme was encapsulated in an Act of Parliament and Robina was given Principal Activity Centre status within the regional economic planning scheme. 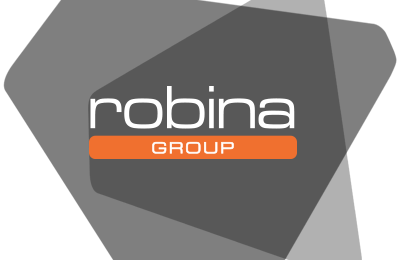 Robina Group managed an established team of civil engineering consultants and contractors to deliver Robina’s infrastructure and the hundreds of home sites it sold to builders and end-users each year. The Group kept delivery of Robina’s trademark greenspace in-house, growing all the tree and plant stock at its giant commercial nurseries, and maintaining a large landscaping and estates division which is still active today. Since 1980, Robina Group has delivered more than 10,000 home sites, ranging from 400 square metres in zero-lot green-street projects to large (ocean accessible) waterfront blocks accommodating luxury mansions. Robina Group has maintained a momentum of pioneering development through every major boom and economic upheaval to deliver both a city suburb brimming with 30,000 people and a thriving business district for a high growth region. 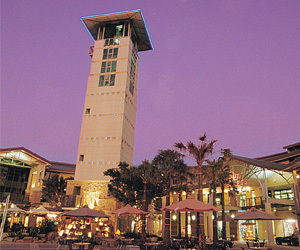 In 1991, Robina Group engaged Robert Lamb Hart from New York to create the masterplan for Robina’s central business district, and two years later commissioned top Californian retail and entertainment architect John Jerde to design Robina Town Centre, the super-regional mall that would launch CBDRobina. The $360 million Robina Town Centre was developed by Robina Group in partnership with Commonwealth Funds Management. It was the largest retail and leisure development ever built in one stage in Australia and is now the second largest centre in Queensland. At the same time, Robina Group invested around $100 million in CBDRobina’s roads, waterways, greenspace and other infrastructure. State Government also made massive infrastructure investments in Robina, building high volume highway interchanges, a large full-service hospital, and a heavy rail connection with Brisbane and Brisbane International Airport. Since the launch of CBDRobina, Robina Group has turned over in excess of $1.2 billion, delivering a range of innovative medium to high density residential, commercial and office developments in the precincts around Robina Town Centre. 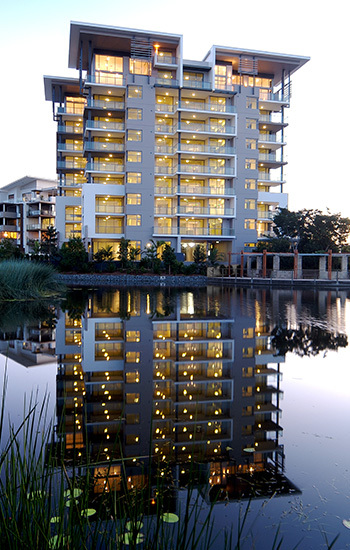 Combined with Varsity Lakes, Robina is the second largest office precinct in the city. CBDRobina is now a thriving and vibrant city centre with a catchment of more than half a million people living within a 20-minute drive. * CBDRobina office vacancy rate verified by independent analysts, Urbis Property Economics. Holding the distinction of developing from a self-created masterplan with a life span of more than three decades positions Robina Group like no other private developer in Australia. The Group recognises both the value premium for residents of master-planned communities and the need for spaces to come to life with diversity and energy. When framing planning documents and development applications, Robina Group aims to promote diversity within a clear structure that preserves community and monetary values. The Group today brings to any development partnership the many lessons it has learned from the real world application of its planning philosophies over a period of more than thirty years. Robina Group aims to develop buildings that strike a balance between form and function, representing a mix of architectural merit, human comfort and lifestyle or workstyle amenity (including pride of association), sustainability of materials usage and on-going operation, minimised impact on natural systems, efficiency of construction, and profitability. Our project management team includes qualified architects who work with both senior management and external architectural and design firms to ensure quality end products are delivered on time and on budget. We aim to make a solid commercial return on developments, but do not seek to garner profit where it compromises our core values. 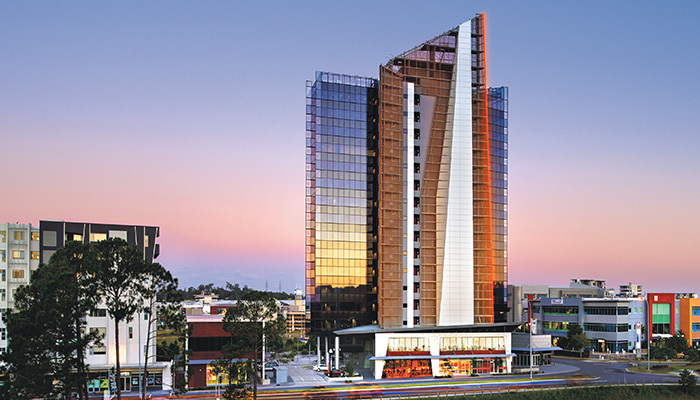 Robina Group development, The Rocket was the first building in Gold Coast City to achieve a Green Star certification and a 5 star NABERS Energy rating.